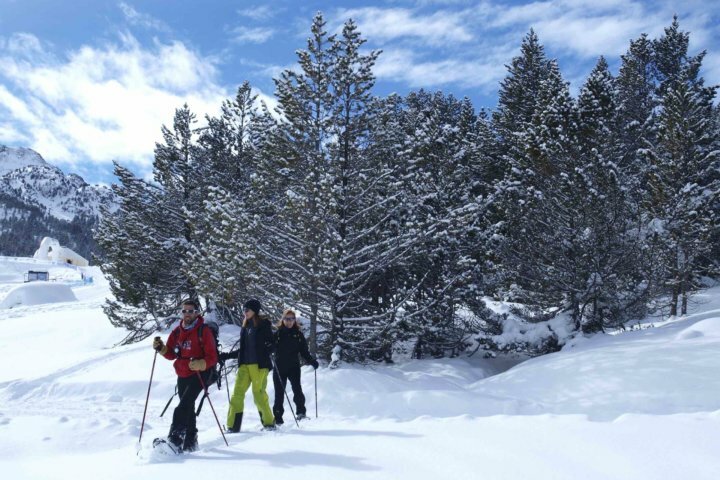 The Snow shoes activity is the act of going deeper into the magic of a mountain in winter is something much more exhilarating than just an adventure. With a set of good snowshoes on your feet and the help of specialized instructors, there is nothing that will stand in your way. These tours can vary from one to two hours, and a half to a full day. Simplicity is our motto, any person who can walk, can put on the snowshoes and enjoy the treks with them. Come and try this experience!